EFFICIENCY TO THE MAX ! The F20C and F22C1 are inline-4 engines produced by Honda. They are one of the few Honda 4-cylinder automobile engines that are designed to sit longitudinally for rear wheel drive. 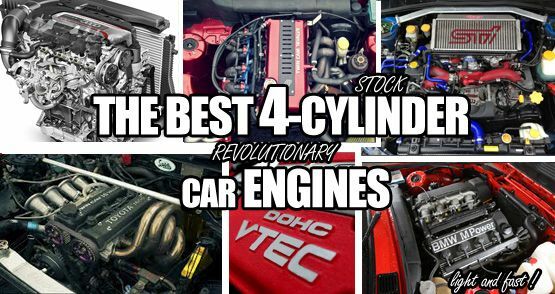 These engines are a distant relative to the F-series engines found in the mid 90s Honda Accord and Prelude. To get most out of the compact sized engine, Honda engineers utilized technology derived from Honda's racing engines. 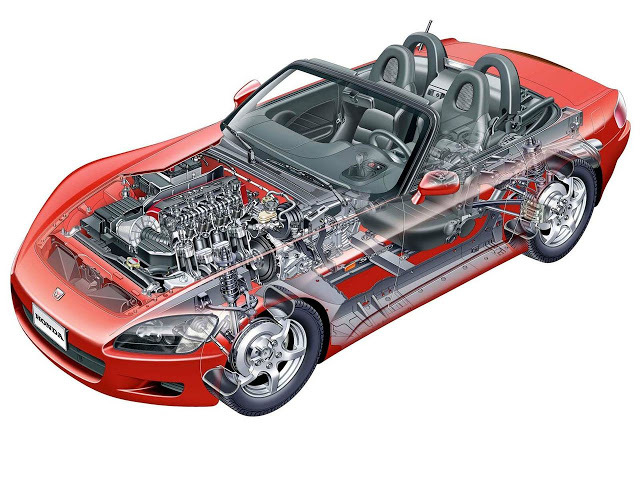 The F20C and F22C1 have two overhead cams with roller followers, a ladder-frame main bearing stiffener, a VTEC system for both the intake and exhaust camshaft, Fiber-Reinforced Metal cylinder liners (FRM), molybdenum disulfide-coated piston skirts for reduced friction, and uses a timing chain. The VTEC system consists of two separate cam lobe profiles. Variable cam phasing is not used. Roller followers are used to reduce friction in the valvetrain. The rocker arms are constructed using metal injection molding. The engine block is constructed of aluminum with fiber-reinforced metal sleeve. A timing chain drives an intermediate gear, which drives the cams. The pistons are forged aluminum. The intake plenum was designed with minimal volume for fast engine response, and a 14 lb flywheel was fitted until 2004. A high-flow catalyst is supplied along with an exhaust air-injection system, which greatly decreases catalyst light-off time and cold emissions.